Tualatin is one of Portland’s most prosperous suburbs. It’s home to upscale shopping districts like Bridgeport Village, high tech manufacturing companies, Legacy Meridian Hospital, and is highlighted by Tualatin Commons, a planned downtown community. At Cascade Building Services, we’ve been providing commercial cleaning services to banks, hospitals, apartment complexes, condominium buildings, offices and other buildings in Tualatin for over 50 years! Keep reading to learn more about the businesses and industries we serve as well as the commercial cleaning services we offer. Our commercial cleaning teams work nights and weekends, and every day of the year. That means we’re flexible and can work with your schedule. You won’t need to worry about inconveniencing your employees, customers, clients, or patients. We’re not just another commercial cleaning company. We offer all the services you need to keep any building clean. No matter what you need cleaned, or how often you need our services, we can create a cleaning program just for you. Cleaning, sweeping, mopping, disinfecting, and taking out the trash are just a few of the janitorial services we provide. Our team will make sure everything’s cleaned to your satisfaction on a schedule that works for you. There’s nothing worse than dirty, dingy carpets. That’s why we’re here! We use a biodegradable carpet cleaner that doesn’t leave behind strong odors. It dries quickly, too! Less than 2 hours after we finish cleaning them, your carpets will be ready for action. A member of our carpet cleaning team will check in with you every month to make sure you’re completely satisfied. We provide preventative maintenance and regular cleanings for your floors. 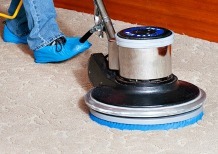 If your floors haven’t been cleaned in awhile or have damaged by previous cleanings, we can help. 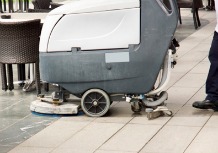 We use high-quality, slip-resistant floor cleaning products from Underwriter Laboratories. Do you have a recycling program in place? Are you thinking about starting one? We can help by managing your paper recycling and helping your employees understand what can and can’t be recycled. Streaks and smears can make otherwise beautiful windows look downright awful. Regular window cleaning can help keep your windows shiny, clear, and beautiful. We use biodegradable window cleaning solutions that wash away clean and don’t leave any residue behind. Do you manage an apartment complex or condo building in Tualatin? We can take care of your window cleaning, janitorial work, building maintenance, and any other commercial cleaning service that you need help with. Your tenants and residents will love us! 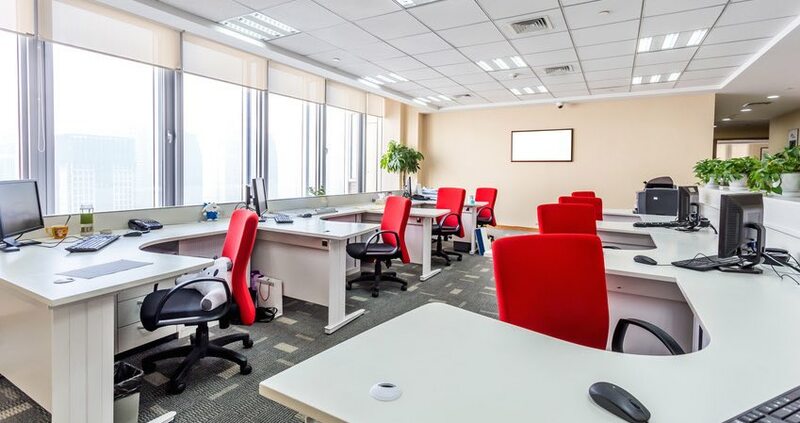 Our commercial cleaners specialize in cleaning offices, banks, shopping malls, manufacturing facilities, hospitals, condos, apartments, and other businesses in and around the Tualatin area. We’re flexible and no matter what type of business you run, building you manage, or cleaning services you need, we can help. For your peace of mind, safety, and security, our commercial cleaners wear professional uniforms and clear identification whenever they’re on the job. We’re committed to the environment and use eco-friendly and biodegradable cleaning supplies whenever we can. Cascade Building Services has been offering commercial cleaning services to the Tualatin area since 1961– that’s over 50 years! No other cleaning company can match our commitment to your satisfaction and getting the job done right. The Cascade Building Services team loves their work and it shows in the results we provide. We invest in our team, offering continuing training and education to help them do their best work. We’re proud that almost 75% of our team members have been working with us for 8 or more years!